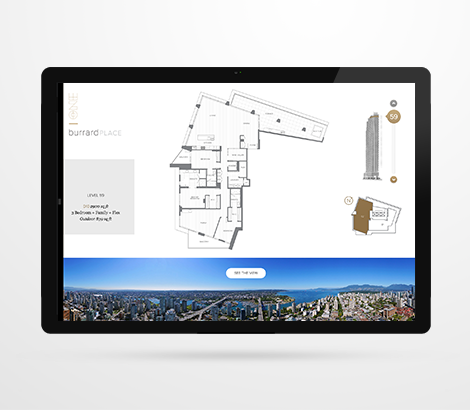 Magnum Projects asked Intergalactic Agency to create a visual sales tool, controllable by tablet, displaying views and floorplans from each unit in the Burrard Place building in downtown Vancouver. 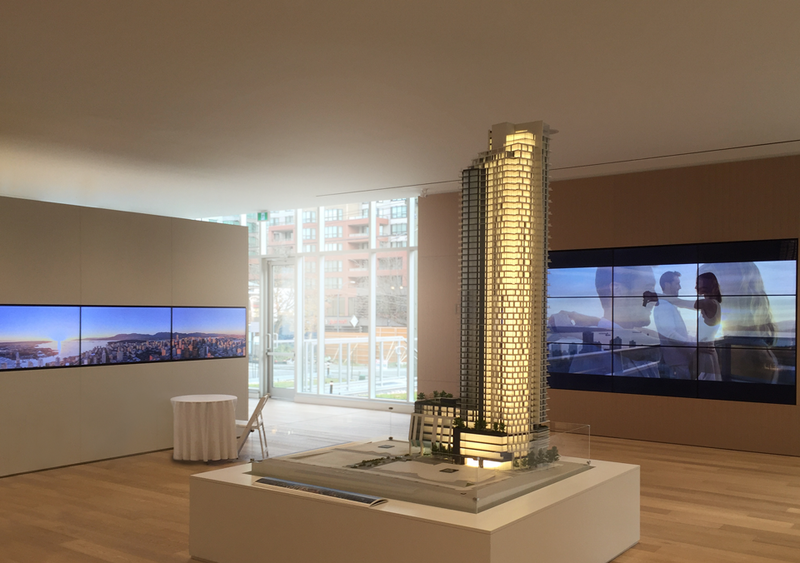 The result was a realistic and visually appealing display which allows the viewer to visualize a 360 degree view around their unit of choice. 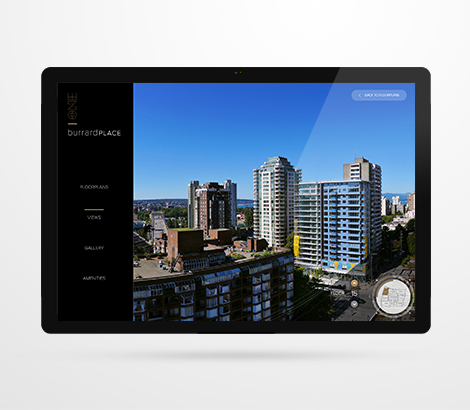 The display was part of a five-screen wall, providing a panorama, tablet controllable view.